The past few show seasons have seen a discernible shift in the modelling paradigm towards a more diverse beauty aesthetic on fashion's runways. Designers, stylists, casting directors, and modelling agencies appear to be embracing more inclusive beauty standards paving the way towards a level playing field with models of varying ages and ethnicities emerging as fashion's newest darlings. Leader of the pack is Karly Loyce who sent shockwaves through industry circles when she took to the runway exclusively for Céline during the Fall/Winter 2015 season. 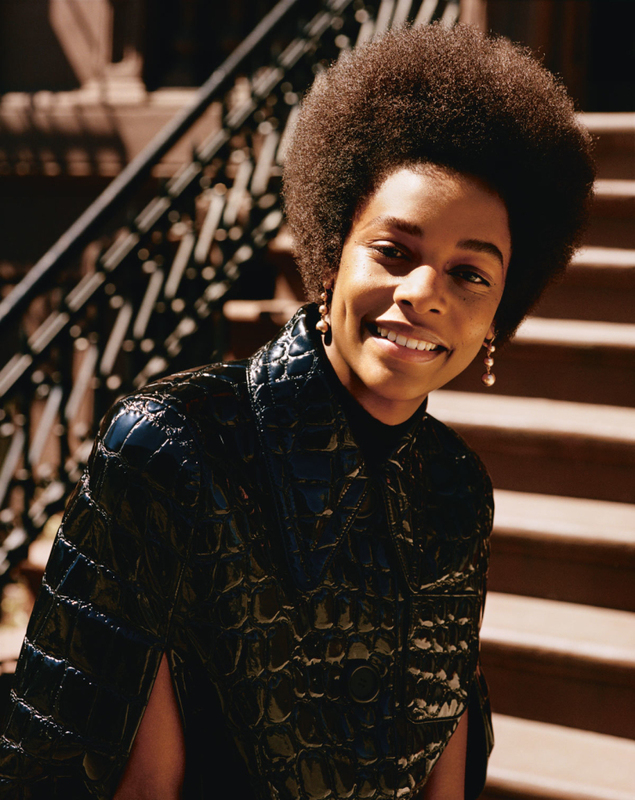 The Women Model Management-repped newcomer's natural afro do, ultra-chic, and dreamy faraway gaze call to mind late 60s African-American modelling pioneer Naomi Sims. The Martinique native is combining university studies in biology with editorial bookings for Lurve, Interview Germany, and Madame Figaro Japan, in addition to a coveted Fall/Winter 2015 Céline campaign slot. 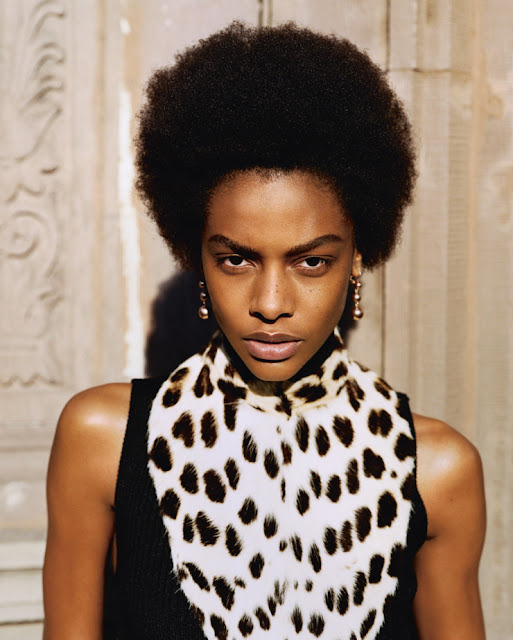 Loyce's recent runway Couture bookings at Giambattista Valli, Viktor & Rolf, and Alberta Ferretti land her firmly on every top casting director's most wanted list for the impending Spring/Summer 2016 collections. 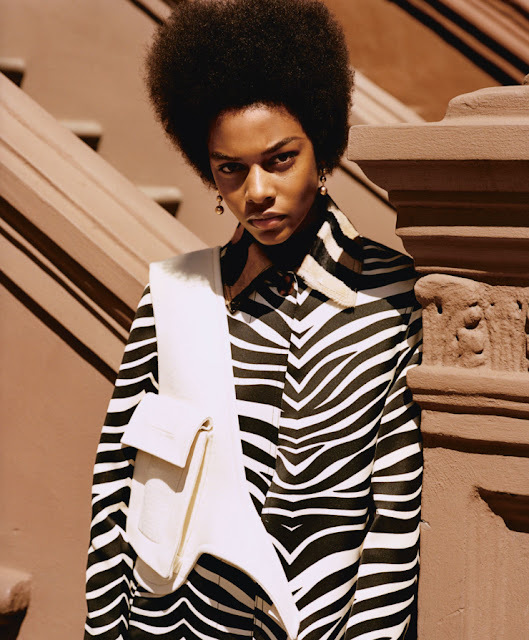 Loyce continues to build momentum with her star editorial and cover turn for the Spring/Summer 2015 issue of i-D Magazine lensed by Alasdair McLellan. 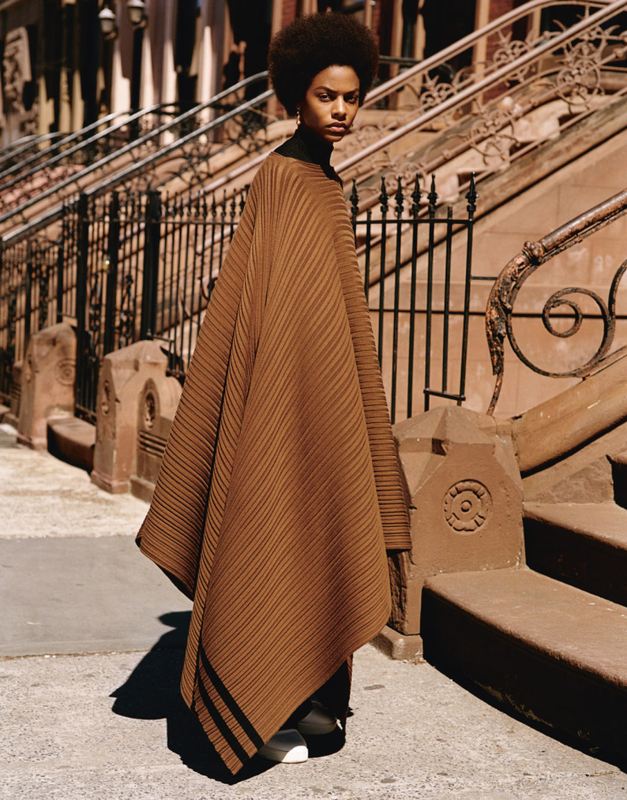 Taking to the streets of Harlem dressed in sleek earth toned ensembles styled by Marie Chaix, Loyce proves to be everything and more both on and off the runway.